Almost 10 months ago a rumor about mysterious codenames of AMD future products had appeared. According to the leaked slide, AMD was planning to introduce Mattise as Pinnacle Ridge successor. That would be the first Zen2-based processor. The slide also listed Pinnacle Ridge as Summit Ridge replacement, and that happened just a few months ago. The same slide further listed Picasso as Raven Ridge successor. 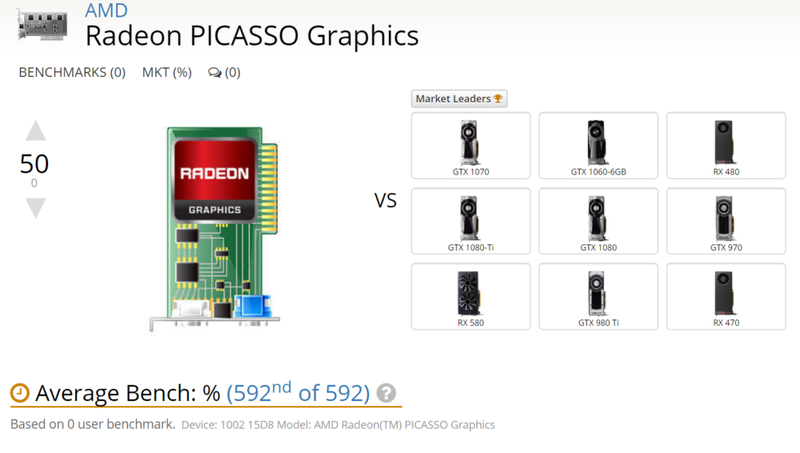 Interestingly, Radeon Picasso has been discovered by the 3rd software recently and is currently listed at UserBenchmark database under 15D8 Device ID. Sadly, no benchmark results are available right now, but that ID is enough of a reason to consider this leak plausible. Current Raven Ridge APUs are carrying 15DD ID.